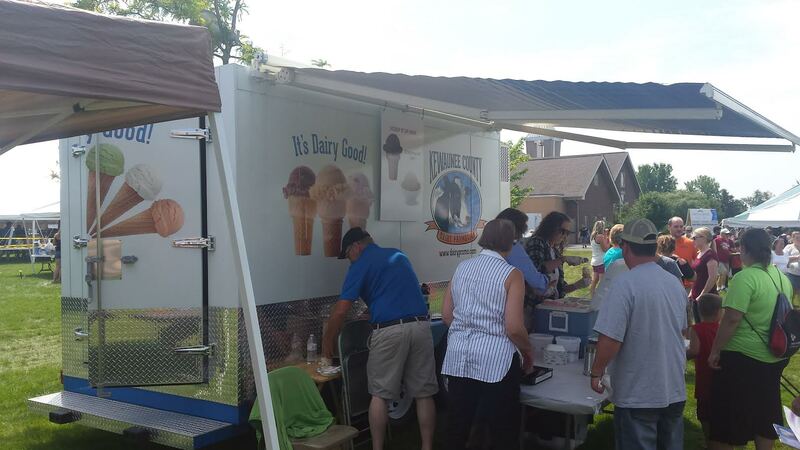 Sell ice cream and promote the dairy industry! Not only do we have the iconic Little Red Barn that locals know and love as a purveyor of frozen treats, but we also have a KCDP Cooler/Freezer available! Scroll down for the schedule, below the schedule are additional rental details & contact information for rentals! 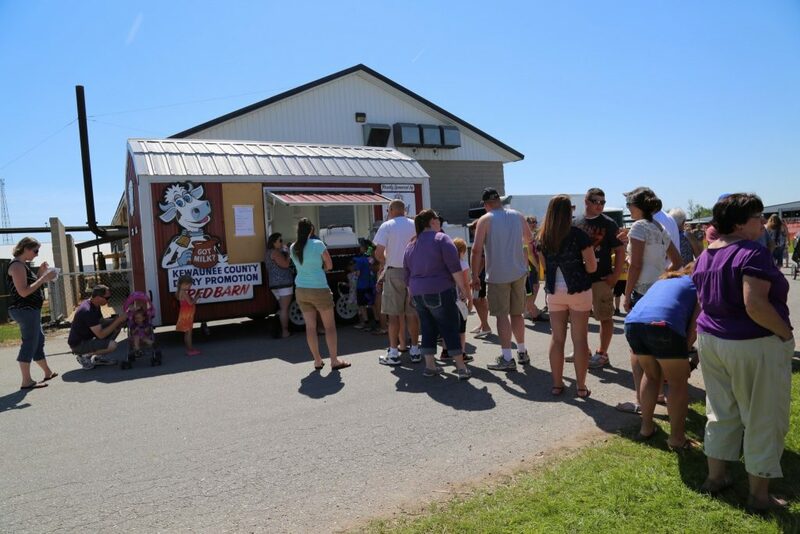 It’s our famous little Red Barn – yummy ice cream was easily found at the 2016 Breakfast! Please note that we do our best to keep the schedules current and up to date, however some events may not be listed where the Red Barn/Cooler is reserved. However, availability is limited, so please plan to schedule as far in advance as possible. The dates below only show the event date(s) – the Red Barn/Cooler may be spoken for on days leading up to or following the event date(s) listed. Recapture your childhood & chase the ice cream “truck” (barn)! Thank you for using our new KCDP Cooler and Freezer to promote the sale of great dairy products! Call Shirley with any questions regarding cooler trailer rentals at 920-845-2684 (6am – 9pm). Cooler & freezer MUST be cleaned and dried before returning. Thank you – your cooperation and care for our coolers allows us to share them with many more great organizations and assorted renters!